Having emphasized his point, looked at me expectantly. “A merry heart doth good like tonic." Encouraged, he tried another, this time from no less a person than Byron, the great poet! "Always laugh when you can, it is cheap medicine!”. I laughed, realizing that Byron wanted me to laugh. I gazed at him spell-bound; If laughter can make this down-to earth man a poet, why, I can become a Shakespeare with my innate gift! branded as ‘Chinese,Japanese,Mongolese, Australian, American,‘ etc. “Mine should be typically Indian”- I decided- “I should speak through my laughter”. Yes, but the problem was this. I had to be there early morning, and early morning was my inspiration-time for writing! Writing was more important to me than laughing. “ My mother, she is the dominating sort”--- Forthwith, I poured out what all I had observed. “Crying and laughing comes from birth. It is everyone’s birth-right, my son!" As such, should one go to a club to learn? That too from a stranger? Never heard of such rubbish! In our days, we all used to laugh-cry-fight, all the time, but nowadays nobody seems to have time even to ask a single welfare question! Only the T.V and mobile phones do all the talking!”- As expected, the majordomo of our home protested, but had to give in when I stood my ground. It was a good idea, for the outing brought back the old glow to dear wife’s cheeks, former sparkle to her eyes, and more importantly, the old laughter! “She is always laughing, I don’t like it.” Her stiff-faced mother-in-law complained, and chided her. The daughter-in-law didn’t flinch as before, but laughed all the more, and loudly too! This infuriated mama to no extent; Did it end there? Daughter-in-law commenced asserting herself gently. “Stuff and nonsense! Why don’t you go and see for yourself?” I challenged. Deciding to give the wizard of the club a piece of her mind, the lady sallied forth. "She left like Mahakali, returned as Mahalakshmi!" Lol! My stern-faced mother also laughs……now! Both mother-in-law and daughter-in-law laugh and laugh and laugh, as though practicing for a competition……and hurry to the club, leaving me alone to attend to-‘doorbell, telephone-calls, maid-servant, and of course, children when they return from school…………………. Excuse me, did I hear you laugh? Laughter as they say is the best medicine. Nice piece especially because it united the MIL and DIL through the exercise, though they left you to attend to the chores. Congrats on being the best commentator. Thanks for your valuable comment,dear friend! I saw it just now,so the delay in replying. Pankaja , You are right. 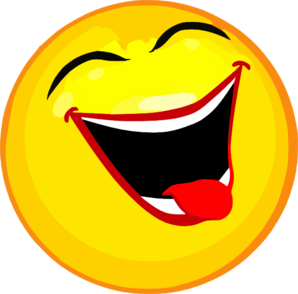 Stress in the streets and pollution of personalities at homes are melted by laughter. M in law and D in law are made Pals in law. complimenting me! I could not have asked for more!. Brilliant piece. I like the way you experiment with different styles of narration. BTW congrats on your 'best commentor' award. Even I felt you deserve with your out of the box comments. May your achievements grow forever. Did you see me smile or did you hear me laugh? We have one in South of Bangalore too. He, He, He, !